Hi friends,Hope everyone's doing great! !Happy Ugadi 2012,to all my dear ones..After a little break am blogging again.First time am doing "Blogging Marathon".This's the Second week of Blogging Marathon #14. 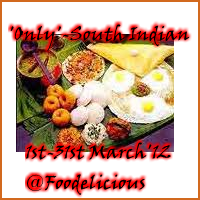 Grease a Pan with Butter/Ghee/Oil.Sieve the Besan Flour/Kadalai mavu,keep it aside. Take a heavy bottom pan,add all ingredients.Stir well. Stir well,cook until it thickens and leave the sides of the pan.Kind of bubbles will come up.It may take 15-20 mins. Immediately remove from the stove,pour on to grease pan.Allow to cool . Oh my god .. they are so perfect.. this sweet is a defenite item at my home .. for diwali.. I usually only get this kind of stuff int he Indian sweet shops..never tried to make it myself..but looks super easy! wow!! this looks out of a mithai shop .perfectly made and cut! !..infact I am getting the sense of the flavors..n feel like nabbing one!..real good!! 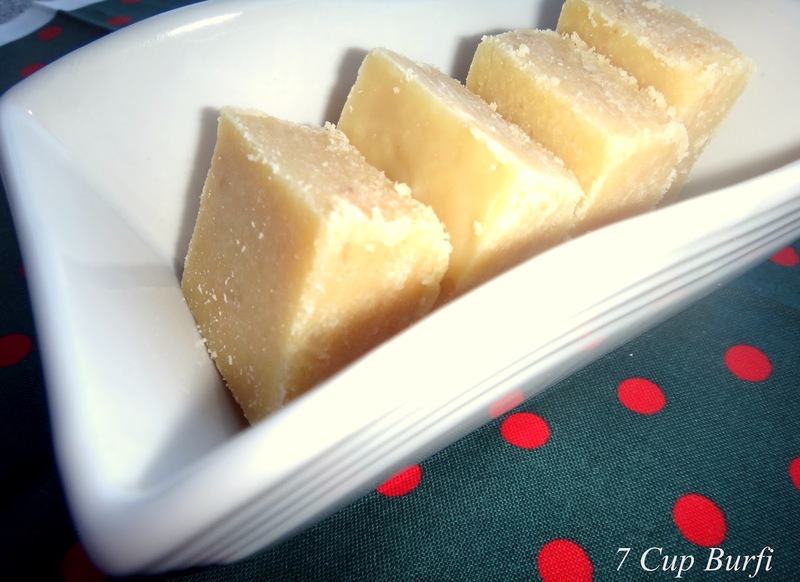 Love this 7 cups> I too have the rceipe now on seeing this I need to hunt out the smallest katori to make this delicious sweet. 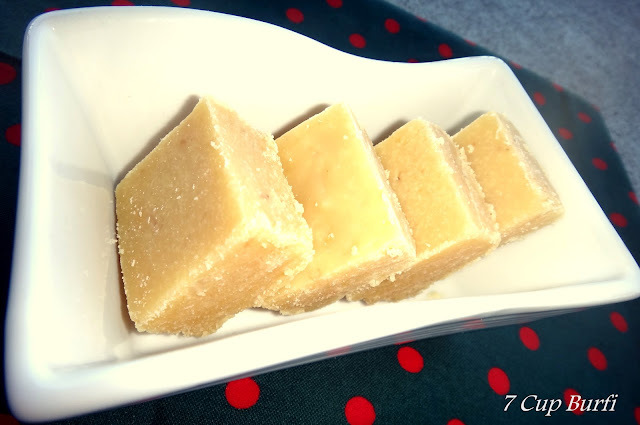 I love this burfi and my all time favorite. They look so delicious. Nice one!!! Wow....your burfi is so perfectly and beautifully sliced. perfectly cut indeed! A must have sweet for any occasion! Superb, this would have tasted so soft and yumm..
My fav burfi.. they have turned out just perfect & such chunky pieces..super like! Wow they look so soft and nice. I have done this many times but never have got this soft. Delicious. Next time i will try your ingredients and method. Looks very good..good to have you in BM.. This is our favorite too. Looks yum. Hi. My MIL makes this too and we all love it. Yours is also perfectly made. Thanks for linking it to 'Only'. 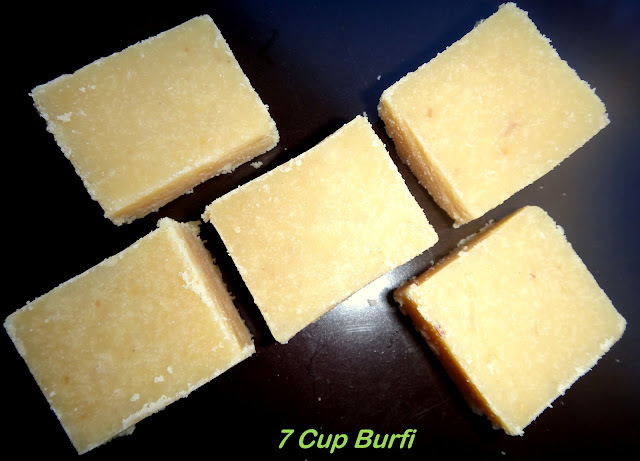 Burfi looks very perfect and delicious. Love to try this soon. Bookmarked. I'm hosting this month's WTML event and giveaway, if interested, please link this entry for the event.